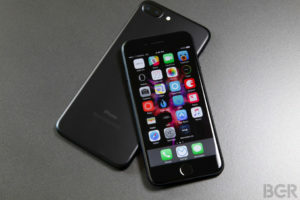 Reviewing the iPhone 7: Is it Worth the Price? 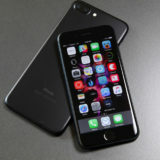 There is no doubt that the iPhone 7 has been making waves within various technology circles. Let us examine if this model is truly as revolutionary as Apple claims. We should first note that when externally compared to the iPhone 6, there are few noticeable differences. A powerful processing core and a 4.7-inch screen exhibit the same streamlined appeal of previous models. However, the lack of an external headphone jack has left many users questioning whether or not this bold move was necessary. Notwithstanding the lack of a headphone jack, the iPhone 7 has applied an interesting vibration feature known as a “Tactic Engine” when the user clicks an icon. Additionally, the display now includes a 3D touch feature and a wider range of colours are supported. This is a great option when watching videos or downloading high-definition pictures. A massively improved camera is likely to be the best that one will ever own. Features such as optical image stabilisation, a low-light lens and Apple True Tone flash all enable high-definition photos to be enjoyed with the simple click of a button. This model employs a four-core A10 fusion chip; one of the fastest in the industry. When more apps focus on exploiting the processing power of this system, it is likely that any lag times will be dramatically reduced (if not eliminated altogether). Another improvement is that under normal operating conditions, the iPhone 7 can last up to 12 hours without needing to be charged. This is great for those who are always out and about. Having said this, some feel that these prices are not justifiable considering that the iPhone 7 is not seen as a massive improvement over the iPhone 6 and 6S. All in all, the iPhone 7 is certainly a streamlined device. However, its price could be the one sticking point that deters the average consumer.